A Secret History of American River People is a project created by Wes Modes, a Santa Cruz artist whose work is focused on social practice, sculpture, performance and new media work. He holds a Masters in Fine Arts from the Digital Art and New Media program at the University of California Santa Cruz. 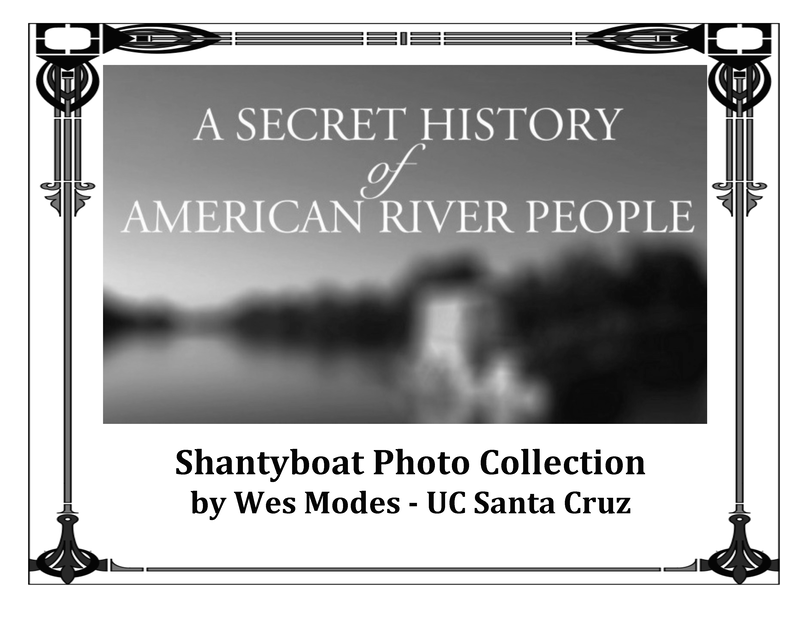 Wes has worked for years to build a collection of personal stories of people who live and work on the river from the deck of a recreated mid-century shantyboat over a series of epic river voyages. The project examines the emerging crises facing current river communities dealing with economic displacement, gentrification, environmental degradation, and the effects of global climate change. The project attempts to preserve the currently endangered history of people who have long lived on and adjacent to the river with a multi-layered, project that includes a touring participatory art installation, a research archive, short and feature documentaries, a collection of historic shantyboat and riverboat photos and a series of books. His collection of historic photos appears below. Last summer, Wes traveled down the Hudson river in a rustic houseboat, built using a designs from shantyboats in the 1940s. 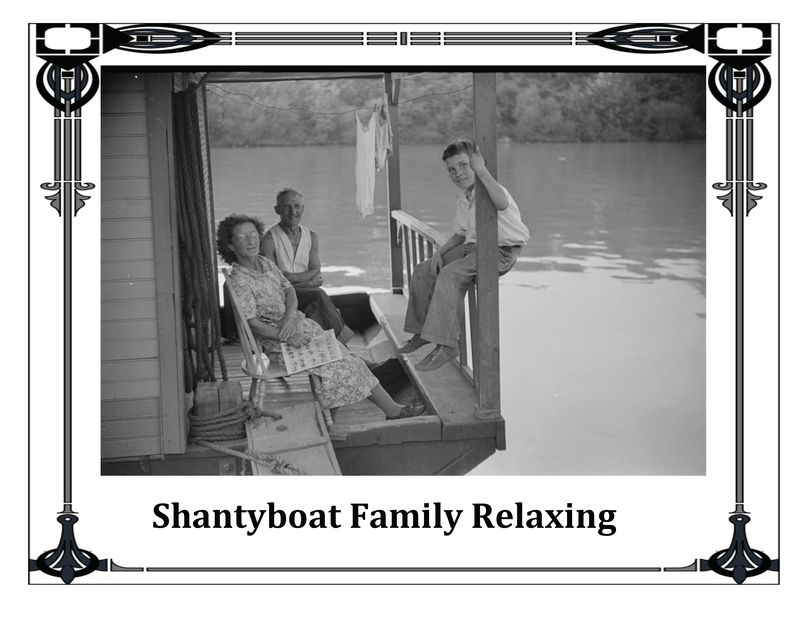 His shantyboat was build from largely recycled and reclaimed materials. Wes has discovered that traveling on the river in an authentic shantyboat and taking the time to listen to people’s stories makes this project unique. This participatory art project inspires deep wonder and connects meaningfully with people’s personal histories. 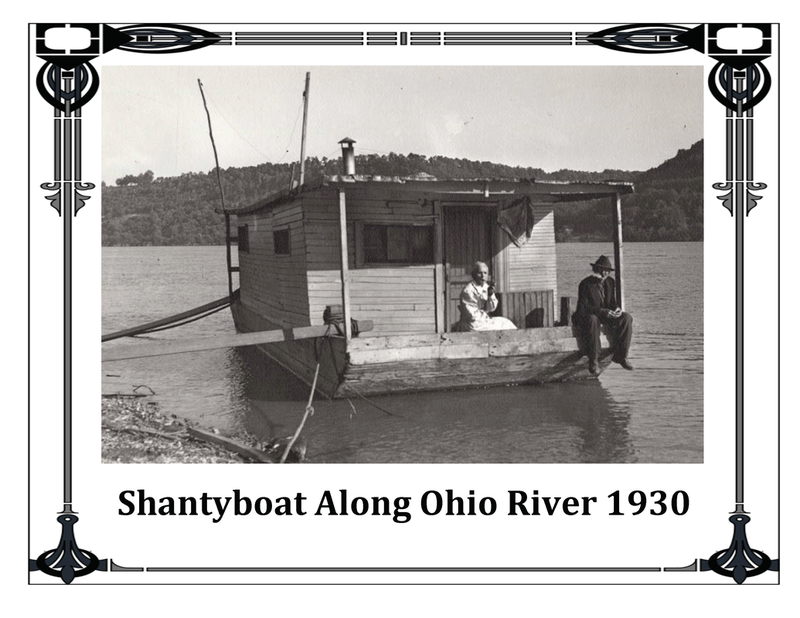 There is a display of photos from his recent river trip in this shantyboat in our Library glass display case.